San Francisco is known for nature, museums, parks, nightlife, and shopping. Your plan includes some of its best attractions: snap pictures at Golden Gate Bridge, take in the waterfront at Fisherman's Wharf, shop like a local with Union Square, and tour the pleasant surroundings at Crissy Field. For more things to do, other places to visit, where to stay, and other tourist information, go to the San Francisco day trip planning tool . The Route module shows you all the different ways you can get to San Francisco. January in San Francisco sees daily highs of 59°F and lows of 46°F at night. Wrap up your sightseeing on the 8th (Tue) early enough to drive to Yosemite National Park. On the 9th (Wed), spend an exhilarating day on the slopes at Yosemite Ski and Snowboard Area. There's much more to do: take in the awesome beauty at Cathedral Range, explore the activities along Cathedral Beach Picnic Area, don't miss a visit to Olmsted Point, and take in the dramatic natural features at Glacier Point. 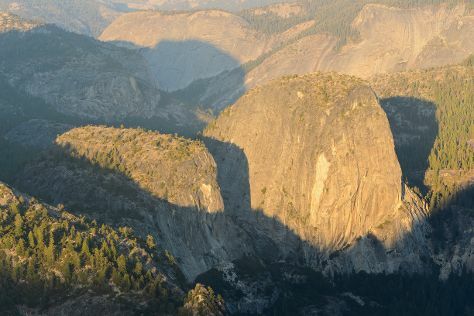 To find ratings, maps, and more tourist information, refer to the Yosemite National Park vacation maker tool . Traveling by car from San Francisco to Yosemite National Park takes 4 hours. Alternatively, you can take a bus; or do a combination of subway, flight, bus, and taxi. When traveling from San Francisco in January, plan for a bit cooler days in Yosemite National Park, with highs around 44°F, while nights are much colder with lows around 13°F. Wrap up your sightseeing on the 11th (Fri) to allow time to travel to Los Angeles. You'll find plenty of places to visit near Los Angeles: Anaheim (Disneyland Park & Disney California Adventure Park). There's still lots to do: see the interesting displays at The Getty Center, admire the landmark architecture of Bradbury Building, partake in some friendly competition at Fantastic Race, and explore and take pictures at Staples Center. To find ratings, traveler tips, where to stay, and other tourist information, use the Los Angeles online tour itinerary maker . Traveling by combination of car and flight from Yosemite National Park to Los Angeles takes 4.5 hours. Alternatively, you can drive; or do a combination of taxi, bus, and flight. In January, Los Angeles is much warmer than Yosemite National Park - with highs of 70°F and lows of 49°F. Wrap up your sightseeing on the 14th (Mon) to allow time to travel to Las Vegas. When in Las Vegas, make a side trip to see Hoover Dam in Boulder City, approximately 50 minutes away. And it doesn't end there: add some entertainment to your itinerary with Bellagio Fountains, shop like a local with The Strip, enjoy breathtaking views from Eiffel Tower Experience at Paris Las Vegas, and admire the natural beauty at Bellagio Conservatory & Botanical Gardens. For maps, ratings, traveler tips, and tourist information, read our Las Vegas trip itinerary planner. Traveling by flight from Los Angeles to Las Vegas takes 4 hours. Alternatively, you can fly; or drive. Traveling from Los Angeles in January, expect Las Vegas to be little chillier, temps between 59°F and 40°F. Wrap up your sightseeing on the 17th (Thu) to allow time to travel to Grand Canyon National Park. Spend the 19th (Sat) exploring nature at Grand Canyon National Park. On the 21st (Mon), hike the day away at Bright Angel Trail. There's much more to do: take in breathtaking views at Grand Canyon South Rim, take some stellar pictures from Hopi Point, make a trip to Point Sublime, and stop by Lookout Studio. To see more things to do, where to stay, other places to visit, and other tourist information, read Grand Canyon National Park day trip site . Traveling by combination of car and flight from Las Vegas to Grand Canyon National Park takes 4.5 hours. Alternatively, you can drive; or take a shuttle. The time zone difference when traveling from Las Vegas to Grand Canyon National Park is 1 hour. Traveling from Las Vegas in January, you will find days in Grand Canyon National Park are slightly colder (44°F), and nights are much colder (15°F). Cap off your sightseeing on the 22nd (Tue) early enough to travel to New York City. New York City is known for museums, nightlife, shopping, historic sites, and parks. Your plan includes some of its best attractions: go for a walk through Central Park, admire the landmark architecture of Rockefeller Center, pause for some photo ops at Statue of Liberty National Monument, and learn more about the world around you at American Museum of Natural History. To find reviews, where to stay, and more tourist information, you can read our New York City trip website . You can do a combination of bus and flight from Grand Canyon National Park to New York City in 13 hours. Alternatively, you can do a combination of bus and flight; or drive. You'll lose 2 hours traveling from Grand Canyon National Park to New York City due to the time zone difference. Plan for somewhat warmer nights when traveling from Grand Canyon National Park in January since evenings lows in New York City dip to 24°F. Wrap up your sightseeing on the 28th (Mon) to allow time to travel back home.